﻿ Loreal Paris Go 360 Clean Review: Can You Really Trust This Product? L’Oreal Go 360 Exfoliating Scrub is marketed as a gentle, yet effective, exfoliating scrub which, when combined with the Scrublet, refines the skin and reduces the look of enlarged pores, uneven tone, and uneven texture. L’Oreal Go 360 Exfoliating Scrub is a gentle scrub that is intended to sweep away makeup, dirt, oil, and other impurities from the skin. This product gets a little help from the Scrublet that comes with your purchase. The Scrublet is simply a small oval-shaped, rubber tool that helps the apricot seed powder and salicylic acid get deep down into the pores for optimum results. For best results, pop the Scrublet out from its holding place. Pour the cleansing formula onto your wet skin and gently massage it into your face. Go over your skin with the Scrublet in small, circular motions until you feel you’ve thoroughly covered your entire face. Rinse away with water and be sure to follow up with your preferred toner, treatments, and moisturizers. 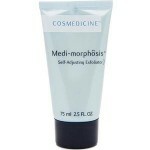 For optimum results, use an SPF of at least 30 during the day. L’Oreal Go 360 Exfoliating Scrub retails for $4.99 per 6.0 fl. oz. of product on several very well known drugstore retailer websites. Natural Apricot Seed Powder: This ingredient removes dead skin and other pore-clogging debris from the skin’s surface. 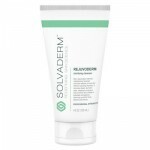 Salicylic Acid: This ingredient cleanses the pores and prevents impurities from building up. L’Oreal is a well-known, affordable skincare brand. This product comes with a Scrublet to deeply exfoliate the skin. This face scrub clarifies and evens out the skin’s tone. This face scrub already contains enough exfoliating properties to get the job done. 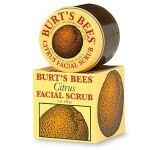 This scrub contains polyethylene beads, also known as micro-beads, which are harmful to the environment. L’Oreal Go 360 Exfoliating Scrub uses a combination of proven acne-fighting ingredients and natural exfoliators to sweep away impurities. Although this product does have the added bonus of coming with a little scrubber to deeply exfoliate the skin, the Scrublet actually may cause more harm than good when all is said and done. 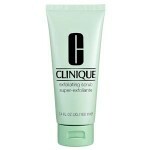 This exfoliating cleanser already includes micro-beads and other exfoliants in its formula. The Scrublet will only cause over-exfoliation and over-stimulation for your delicate skin and may cause more harm than good. Micro-beads are also generally frowned upon, as they’ve been known to cause damage to marine wildlife and the environment in general. We’d recommend continuing your search for an exfoliating cleanser that does not include harmful, potentially irritating ingredients. 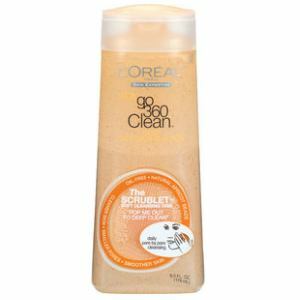 L’Oreal Go 360 Exfoliating Scrub is available for sale on several very well known drugstore retailer websites. These sites have reasonable return policies. If, for any reason, you’re not happy with your product simply return it within 30 days of purchase. Be sure to include proof of purchase with your return.